The importance of social media when it comes to SEO should not be underestimated. In the online age people constantly rely on social media to tell them what’s popular on the internet. Therefore it goes without saying that any company with a web presence should be mining social media for exposure. Social media is completely user driven and the content is determined by what social media users deem important at any moment – it is an entirely customizable web experience. This means that getting the attention of a social media user can do wonders for an SEO campaign. One of the key elements of integrating social media with SEO is to create a system where all social media platforms are integrated through links. This means setting up a system on the website itself that allows users to share content on their own social network pages, and creating engaging social media content that is not solely focussed on selling the company, but also on creating a consumer-based dialogue with users. The fact is that if a website is being talked about on social media, search engine algorithms will take notice. Therefore retweets and Google + ratings have a significant influence on the positioning of a brand on search results – a social media platform that shows up on the first page of search results will naturally lead visitors to the company website. Social media can go a long way to creating a brand image. Using Facebook fan pages, twitter and blogging facilities, the company can start a conversation with their customers and in doing so increase the customer experience of both the brand and their web presence. New social media trends are constantly on the horizon and the clever SEO strategist will know when to get into which social media game at the right time. 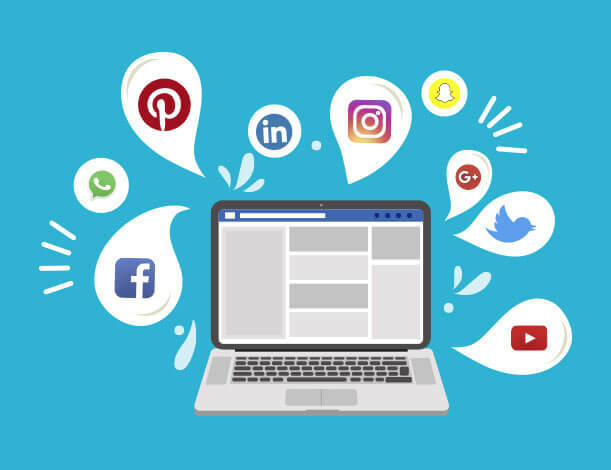 Adding an interactive social media aspect to your SEO campaign creates a well-rounded web presence - including organic original content on both your social media platforms and your company website. The core aspect to remember when integrating social media with SEO, is to synchornize content in order create a unified brand.